What happens when you bring your customers in one room and ask their feedback? This is what I did at the beginning of December with one of our ELP clients. Our aim was to test a new value proposition for marine energy transportation by getting honest, open and challenging feedback, which can be tricky to achieve when your customers are sitting together with their competitors. We did succeed and got some excellent feedback, interest in the further development of the technology and requests for a follow-up workshop. Give your customers space to express their opinions: We didn’t start with a presentation of the value proposition, rather we started with together understanding the context they are in and how they see the future of their own business evolving. This brought insights not only for my client, but it also created a space for the participants to learn and reflect together. Get in their shoes: A good value proposition is about finding the fit between your offer and what the customer needs. So, we explored together with them what they need, first by expressing how they want their business to run in the future and then exploring what problems would be solved (pains addressed) and what benefits it would bring (gains created). 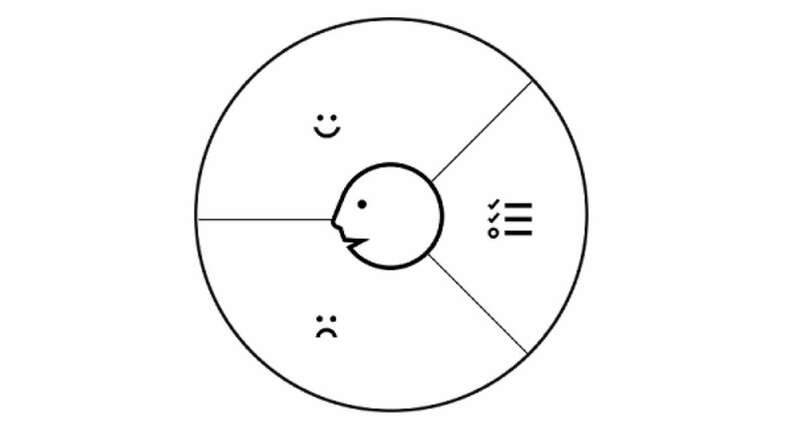 This thinking comes from the Value Proposition Design and there’s no need to have to go into a theoretical explanation; using the language and the tool as a design framework is a great way to engage customers to think and reflect on their own business. Listen to what your customers are telling you: When you’re entering a market that is new for you, then your customers need to educate you. Of course, you also need to do your homework, but your customers have a good sense of what their needs are and will appreciate if you listen to them. 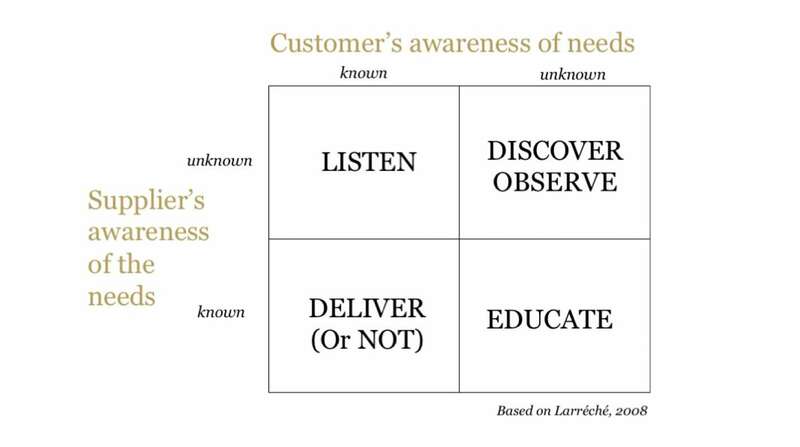 As a supplier of services to them you are not purely stuck in one of the ‘boxes’ below, though Larréché’s framework is a great mental reference to think about when you should be playing which role towards your customers. Deliver what they already have and give them more: When you’re entering a market that is new for you, but in which competitors are already providing a solution, then you need to show to your customers how what you bring will meet what they already have and give them more, do it better, cheaper, more effective, less risk and so on. Switching costs can be high and if you’re going in a new market (paraphrasing Peter Thiel from Zero to One), why do you just want a slice of the pie? Bring an outstanding offer that goes beyond what they have now so you can take and grow that market. And bring it cheaper than the competition! Explain the value you bring, not just the features: When you’ve been developing an offering for so long, it’s easy to get focused on the details of the features/characteristics of your offer. But customers won’t get excited about that, they will listen when you talk about the value you bring which you can back up by showing you have features and designs that deliver on that value. Get feedback on what they want to eliminate, raise, reduce or create: Don’t only ask your customers what they like about your value proposition. Get them engaged in helping you identify what you should get rid of (eliminate), what you should do more (raise), what you should do less of (reduce) and what is missing (create). 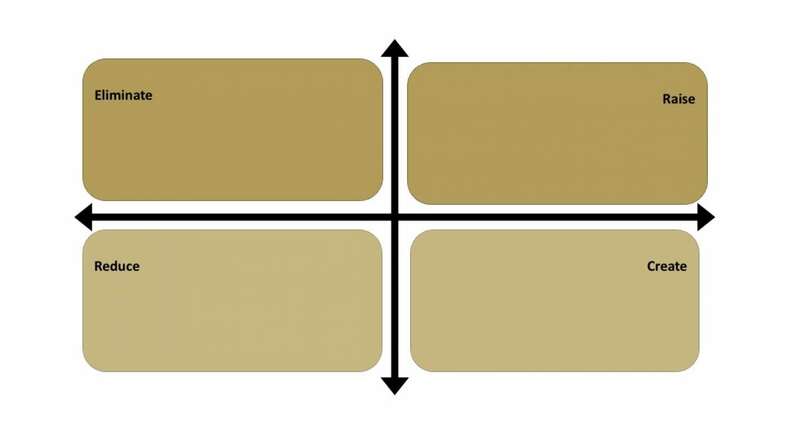 The ERRC grid is a great framework, which doesn’t require a lengthy theoretical background, just using that as a mental framework to guide the conversations with a customer brings in new language and new thinking about your offering. Ultimately, customers appreciate when they are heard and listened to. Dare to ask for their feedback. The fact that you even invite them and start a process reflects positively on your brand. This entry was posted in Uncategorized and tagged brand, customer, innovation, strategy. Bookmark the permalink.